Did you know that different pests prefer different weather conditions? It’s important to read know your enemy, so read up on seasonal pest control below! Everyone loves the lovely warm weather and sunshine filled days that summer brings. Unfortunately, summer also brings a lot of nasty household pests. The long, warm days and occasional summer downpours create the perfect breeding conditions for a huge range of insects. As we all know, mosquitos love the warm weather and are often an unwelcome guest at summer BBQs. Other flying insects that thrive in the summertime are wasps. Wasps can be highly aggressive insects, and a nest can contain hundreds of insects! Many species of spiders appear more often in the summertime, including dangerous varieties like redbacks and whitetails. Even your pets are at greater risk during the summer, with increased numbers of ticks and fleas on the prowl. Just because the weather is cooling down, it doesn’t mean pests will go away. In fact, it’s more likely that critters will begin seek warmth in your home. The cockroach is one insect that doesn’t seem to mind the cooler temperatures. It’s important to keep your home clean and tidy so you’re not tempting those nasty little roaches to come indoors. 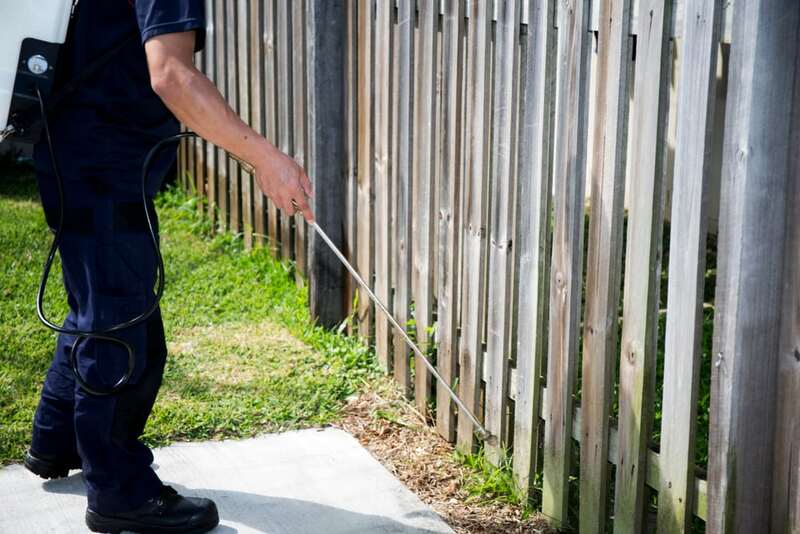 Autumn is the perfect time to schedule a visit from pest control experts. They can identify and address possible entry points for pests ahead of winter, ensuring your home is free of insects and rodents during the cooler weather. As the cold begins to set in for another winter season, we all want to spend more time indoors. Unfortunately, pests seem to have the same idea. Although you won’t notice as many spiders or flying insects, some pests like to hang around all year round. As winter begins, you might notice increased rodent activity in and around your home. Rats and mice will begin to build their nests in warm places such as behind appliances or inside cupboards. Termites are still just as active in the cooler weather. Just because you don’t feel like leaving your cozy bed, it doesn’t mean that termites will stop munching away at your home. As the warmer weather rolls around, even the pests are looking forward to a new beginning. During spring, eggs begin to hatch and insects start building new nests. You’ll notice a lot more bees buzzing about during the spring time. Although we love their honey, it can be dangerous to have hives around children or allergy sufferers. Ants know that spring is the best time for a picnic, and they will begin to march their trails right into your home if you’re not careful! No matter what time of year, it’s important to nip infestations in the bud. The team at AGJ Pest Management can pest-proof your home so you won’t have to worry about those pesky little problems.